Check out this amazing price! Awesome value from Tuscan royalty the Antinori's. 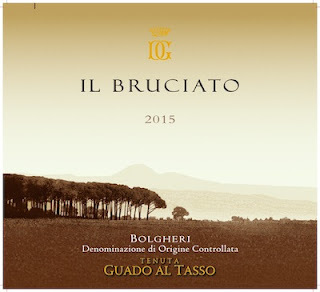 The family has 600 years of wine production under their belt, and is a leading innovator of Italian wines, especially with the so-called "Super Tuscan" movement. This Cabernet Sauvignon, Merlot, and Syrah blend is the second label to the famed Gaudo al Tasso, which goes for 5 times as much! You don't need to spend a fortune to taste historic Bolgheri with "Il Bruciato".